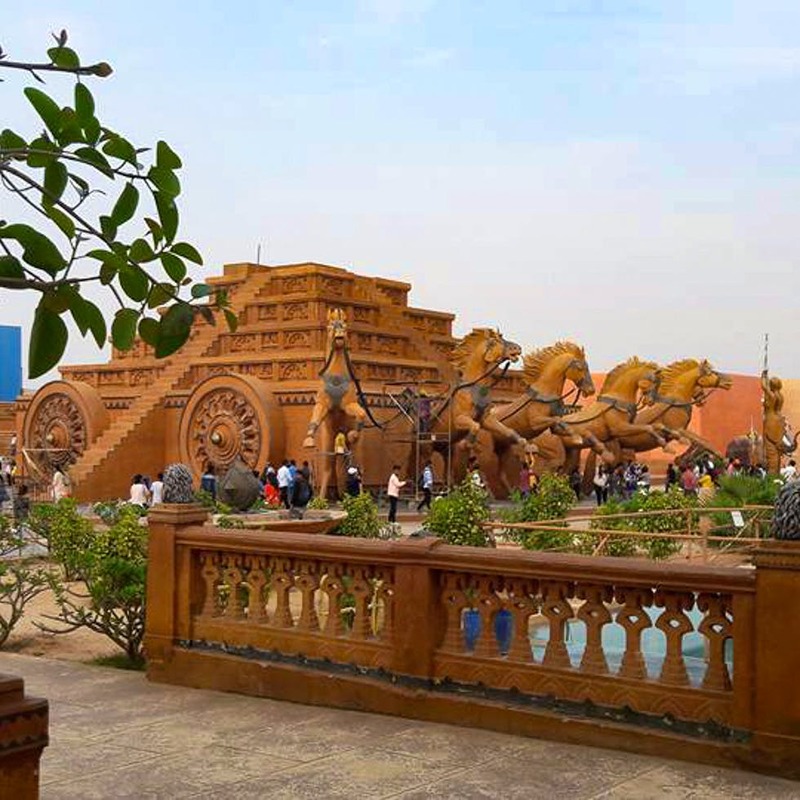 Did You Know You Could Explore The Sets Of Bahubali At Ramoji Film City? Bahubali took the world by storm with its magnificent sets, special effects, and cast. Did you know that you could visit the fantastic kingdom of Mahishmati at the iconic Ramoji Film City? Agreed that India may not have a Universal Studios, Disney Land or Harry Potter World, but we've got Ramoji Film City attracting tourists from across the world. What makes it even better is that it has retained the set of S.S. Rajamouli's magnum opus — Bahubali at this iconic place. From the artwork of leading characters like Devasena, Kattapa, Baahubali, and Bhallaladeva on walls to intricate pillars, magical staircases, the life-size horses along chariots, structures of elephants, the Shivalinga, and the underground prison are all open for the public to explore. Trust us, you will watch the world you have watched on screen come alive for a mere INR 2,349 (per adult) and INR 2,149 (per child) which also covers food and beverages, and a tour of the entire film city. So, what are you waiting for? Film enthusiast or not, here's your opportunity to witness what goes on behind the scenes and walk in an imaginary world, even if it's only for a few hours. It can be crowded, and there's no one to guide you through the exploration of the set.